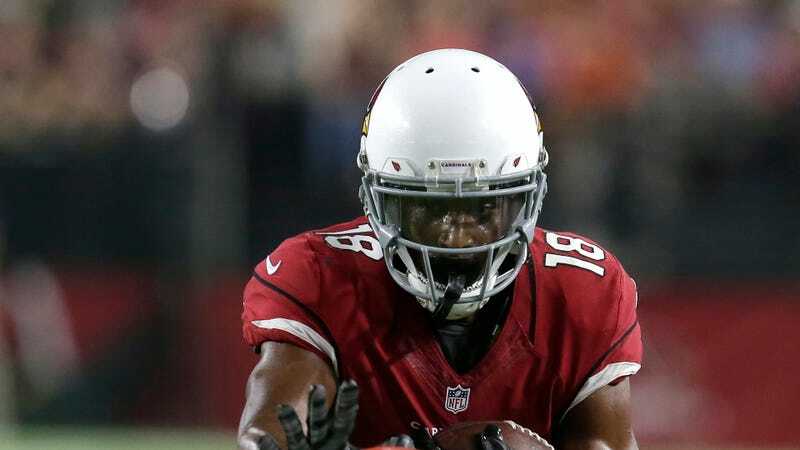 Cardinals wide receiver Marquis Bundy was arrested on charges of disorderly conduct and failure to obey a police officer over the weekend outside a club in Scottsdale, Ariz. Per initial reports, it sounded like a fairly garden-variety drunken late-night “scuffle.” The arrest video, published today by TMZ, shows something more nuanced. Later, a friend embraces him and tries to calm him down. Someone off camera asks if he wants to go home or to go to jail, but Bundy gets persistently more agitated and the police officers soon tell him that he’s under arrest. No information has been released on what sort of cap it was or where it is now.